Creator David Chase is set to return to the world of The Sopranos. It's been years since we've heard of any movement on The Sopranos front. 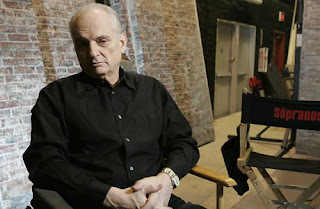 Sadly, with the passing of the show's lead player James Gandolfini, David Chase paused any momentum he had made towards doing anything else with the characters of his most popular creation. Now, years later, Mr. Chase is finally moving ahead with a project that will return to the New Jersey turf where The Sopranos lore will be expanded on. Serving as a prequel to what is one of the biggest television series of all time, New Line has purchased his script The Many Saints of Newark and plans on turning it into a movie. Apparently, the script revolves around Tony Soprano's father Giovanni "Johnny Boy", a younger uncle Junior, and Tony's mother Livia. The film will take place during the '60s when racial tensions were at an all time high and will expand on the family's rise to power. After so long, this might be a refreshing new tale that will help build on the Sopranos legacy.